Lucasfilm has just updated their site with a full sneak peek at the Star Wars Celebration schedule! Get an inside look at everything that will be hitting the Celebration stage next month. Also, the official Celebration web site has updated with a full exhibitors list for booths on the show room floor. To see the full list of exhibitors, you can click here. The Galaxy Stage at Celebration will present a wide variety of panels and presentations that cover the depth and breadth of the Star Wars universe. Catch conversations with the masters, celebrity appearances, and other legendary Star Wars entertainment. Hosted by Celebration veteran David W. Collins. John Knoll, Chief Creative Officer, Doug Chaing, Vice President Executive Creative Director and Kevin Jenkins, Supervising Art Director will take attendees on a journey through amazing stories and rarely seen imagery from the Star Wars films. From the design development of spacecraft through sets seen from a new perspective, the panelists will tell the stories behind some of the earliest effects and the most recent. Secret mission? What plans? What are you talking about? Find out, when Gareth Edwards – director of the upcoming Rogue One: A Star Wars Story – joins Lucasfilm president Kathleen Kennedy and some special guests for a revealing can’t-miss Rogue One panel! The favorite Star Wars character Boba Fett has spanned generations of fans, and two generations of actors have portrayed the iconic bounty hunter. Jeremy Bulloch and Daniel Logan appear together with host David Collins for a fast-paced hour on the fringe. Taking four months and involving a team of 20, the fundamental process of creating a Madame Tussauds wax figure hasn’t changed since the world famous attraction was founded more than 250 years ago. Hear the Madame Tussauds’ figure making team give an exclusive insight into how the astonishing likenesses are made and how they brought the incredible Star Wars characters to life in Madame Tussauds London’s Star Wars experience. Plus, be the first to see the team’s latest creation – a figure of Star Wars: The Force Awakens’ heroine, Rey. The adventures of our Rebel heroes and Imperial ne’er-do-wells continue every month in the ongoing comic book series produced by Marvel Comics. The editor of Marvel’s Star Wars line, Jordan D. White brings and overview of the House of Ideas’ parsec of the Galaxy Far, Far Away and perhaps a glimpse of what’s to come. Joining him are writer Kieron Gillen (Darth Vader), artist Phil Noto (Poe Dameron, Chewbacca), and artist Marco Chechetto (Obi–Wan & Anakin, Shattered Empire). Join key members of ILMxLAB, Lucasfilm’s new immersive entertainment group, for a personal look at their journey over the past year and how they’ve harnessed the pioneering spirit that inspired storytellers and technical artists to improvise, innovate, and imagine a galaxy far, far away. In their first Celebration panel ever, hear untold stories behind creating immersive entertainment on new media platforms like virtual and mixed reality from the creators themselves and get a special glimpse into the future of immersive entertainment – which may be closer than you think. Take a deeper look at the iconic music of Star Wars as David Collins reveals story connections and hidden musical secrets within John Williams’ iconic film scores. And, watch scenes from The Empire Strikes Back with the original music restored! Join TT Games, Lucasfilm and Warner Bros. Interactive Entertainment for an inside look at the LEGO Star Wars: The Force Awakens videogame, taking fans through the process of bringing the epic action from the blockbuster film to the virtual world, retold through the fun-filled, clever LEGO style. Jonathan Smith (Strategic Director, TT Games), Graham Goring (Lead Story Designer, TT Games) and Douglas Reilly (Director, Franchise and Partner Management, Lucasfilm) will showcase new downloadable story content set in the time leading up to Star Wars: The Force Awakens, while also celebrating the LEGO Star Wars videogame franchise with a retrospective look at the best-selling titles that kicked off the LEGO games series a decade ago. Celebration’s Behind-The-Scenes stage covers the ins and outs of what goes into creating the Star Wars universe, hosting guests who make it happen for the movies, television, toys, books, comics and more. Stepping up for her first Celebration stage hosting experience, but certainly not her first Celebration, is Star Wars expert and host Amy Ratcliffe. Anton Torres and Alex Davy from the team who create the popular Fantasy Flight games, share a look at what goes into the making of the epic tabletop adventures. Get a rare behind-the-scenes glimpse into how DK created its official Star Wars: The Force Awakens books – The Visual Dictionary and Incredible Cross-Sections – from the authors, designers, illustrators and editors. See how the editors worked with Lucasfilm to turn props into images, produced new cross-sections for old favourites like the Millennium Falcon, reveal the details you may have missed and much, much more! Panelists include Jason Fry, Kemp Remillard, David Fentiman, Owen Bennett, Pablo Hidalgo and Simon Beecroft. From the Official Star Wars Fact File in 2002, through collectible models of ships and vehicles, to Build the Millennium Falcon and the Star Wars Helmet Collection in print right now, DeAgostini and its team of specialist editors have put together Star Wars partwork magazine projects for nearly fifteen years. The partworks have sold across the world for nearly 15 years, from Argentina to Japan and everywhere in between, with Build the Millennium Falcon recently their first official release in the US. Want to know what’s coming next? Build R2-D2 is in full development now, and this is the time and place to find out. Hosted by the incomparable Amy Ratcliffe, the panel includes veteran writers, editors, and designers, some of whom have been at DeAgostini from the start, almost 20 years ago! This panel knows its partworks! 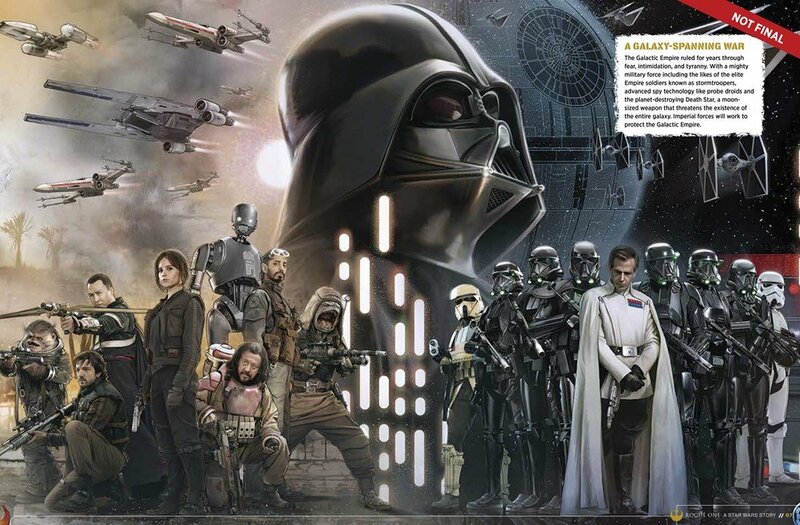 Join Jonathan Wilkins, editor of the official Star Wars magazine and members of the team! Here’s your chance to put your questions to the team, and make your requests for what you want to see in the magazine in the future! This panel includes exclusive giveaways for anyone asking a question! Get the latest info on all the new books and comics set in a galaxy far, far away! Join authors, artists, and editors from Del Rey, Disney-Lucasfilm Press and more to discuss their upcoming stories and the future of Star Wars publishing. Moderated by Lucasfilm’s Michael Siglain. In this behind-the-scenes discussion of the smash-hit mobile game, Star Wars: Commander, fans will get an in-depth look at how the team worked with Lucasfilm to bring Star Wars: The Force Awakens elements into the game’s classic era storyline. The development team will dive into the creation of new characters derived from deep within Star Wars lore, as well as reveal some insider tips on how squads can dominate in the recently released Squad Wars competitions. In addition, they will unveil a sneak peek at brand-new features and gameplay that can completely change the game! Join the Disney Interactive and Lucasfilm development team for this session. Doug Chiang, Vice President and Executive Creative Director at Lucasfilm, has designed and created startling and original worlds, characters, robots and starships, many of them for the Star Wars universe. Hear about his process and his experiences designing Star Wars. Join Hot Wheels Senior Designer Bryan Benedict and Lucasfilm’s Chris Gollaher as they provide a glimpse behind-the-scenes of the Hot Wheels Star Wars die-cast line! See what goes into the design and development of a Hot Wheels Character Car from conception to sculpting to deco to production, and get some expert tips from Bryan on how to design your own! Attendees will also vote for next year’s Hot Wheels Star Wars Celebration exclusive car to follow up this year’s Prototype Armour Boba Fett. We’ll make the decision right there in the room! Glimpse a sneak peek at some new Character Car designs as well as an all-new line of Hot Wheels Star Wars die-cast cars launching this fall. Presented by the R2 Builders Club. An introduction to building R2D2 including a history of the club and what to expect when building a droid. Talk will include an overview to the various materials required to build a droid along with tools required and answers to the top questions asked by potential builders. Fans of Star Wars art and body art will want to be sure to see the Star Wars Tattoo Competition Sunday. Presented by tattoo author Shane Turgeon (The Force in the Flesh) at Celebrations since Celebration III in 2005, the Competition will also feature an expert celebrity judging panel. Have a Star Wars tattoo and want to enter? Stop by the Star Wars Tattoo Pavilion Friday or Saturday and sign up. Gus Lopez and his enthusiastic and creative crew return to Celebration with another great round of panels and collectibles in the Collecting Track. Don’t miss the exclusive medallion giveaways, created especially for Celebration and available only at these panels. Also on this stage: a curated selection of the very best in fan-presented panels. Mandalorian Mercs Costume Club Founder, Tom Hutchens will offer a general overview of the Mercs and offer a general questions and answer session with many experienced members of the club. Come along to find out all about the unique way the Mercs are run, how we create our costume standards and a whole lot of fun along the way. The STEM movement is a global initiative to increase and diversify interest in critical areas of study: science, technology, engineering, and math. From droid-building Anakin Skywalker and pilot/mechanic Han Solo to artistic demolitionist Sabine Wren and scavenger Rey, Star Wars is filled with STEM heroes and heroines. We will explore how Star Wars characters and technology can inspire STEM careers and hobbies in the next generation. Presented by Cole Horton, James Floyd and Kevin Beentjes. France always had some very nice and unusual food premiums. Review premium offers from the original era, like the infamous Palmito cards or Motta stickers, the Prelogy with the Gaulois magnets, and cereals, and follow the evolution all the way to food premiums for The Force Awakens, including products for the first time on the French market like Volvic bottled water. An entire saga of collectibles! Presented by Stephane Faucourt. A round table of collectors will discuss the economy of collecting Star Wars, talking about rare collectibles and price variations from the past five years to date, and how the various channels where we can buy collectibles have evolved: eBay; collector forums; and finally the phenomenon of Facebook. Presented by Luis Galvez, James Gallo and Chris Georgoulias. The general consensus is that the vintage Star Wars market is currently booming! Using an enriched dataset of over 70,000 real-world sales from recent years, we examine this claim, and highlight interesting trends and anomalies in the vintage collecting market. Have prices gone up? Did the release of The Force Awakens influence the market? Is Yak Face really a rare figure? For these answers and more enjoy a guided tour of the vintage market over the past several years: where we came from; where we are now; and what the future might hold! Presented by Jared Cope. Ever wonder how to make an ounce of aluminum worth is weight in gold? Put a Star Wars logo on it! Join Gus, Mark, and James as they review the basics of Star Wars coin collecting, discuss recent market trends and shed light on the inner workings of how the Star Wars Power of the Force coins were developed and produced. This presentation will take a close look at the two mints involved in producing the coins, dispel some myths and misinformation, and share never-before-seen images of Star Wars coin rarities. Presented by Mark Salotti, James Gallo and Gus Lopez. Across the globe, Star Wars fans and fan clubs have been around from the moment Star Wars first appeared. We’re going to spotlight some of the unique achievements of Star Wars fan clubs and organizations from all over the world. There’s a lot more to Star Wars fandom than costuming clubs, so come learn about the diverse ways we celebrate our Star Wars side. From watching the movies to collecting toys and playing games, all the way to creating magazines, websites, art and podcasts … anything is possible! Featuring Tim Veekhoven (Belgium); Kevin Beentjes (The Netherlands); Mark Newbold (UK); James Floyd (USA); Johanna Nybelius (Sweden). An introduction to Advanced Droid Building. The talk will include topics such as using Arduinos to control your droid, servo controllers and what can be done to take your droid to the next level. Several example droids will be present to show what can be achieved on a budget build followed by a Q&A session. This is an in-depth look at vintage Star Wars stationary from UK licensees from 1978-1985. The presentation will focus on Helix, Letraset and H.C Ford stationary, including the lack of a major licensee for The Empire Strikes Back. The audience will enjoy rare photographs from personal collections and from Lucasfilm historical materials. We will also discuss the companies, history, and artwork used, the rarity of items, and the current market values and finds. Presented by Grant Criddle, Craig Spivey and Mark Daniels. LEGO Star Wars was first introduced in 1999 and has grown, brick by brick to become the largest Star Wars licensee. LEGO Star Wars sets offer something for every age group. From beginning as regular LEGO sets 15 years ago, LEGO Star Wars has grown to encompass video games, apparel, alarm clocks, watches, keyrings, books, theme park attractions and more! There are even numerous popular TV specials that expand the Star Wars story further. Take a look back on the first 17 years of LEGO Star Wars, the increasing number of copies, and get a brief glimpse into what the future of LEGO Star Wars holds. Presented by James Burns and Duncan Jenkins. 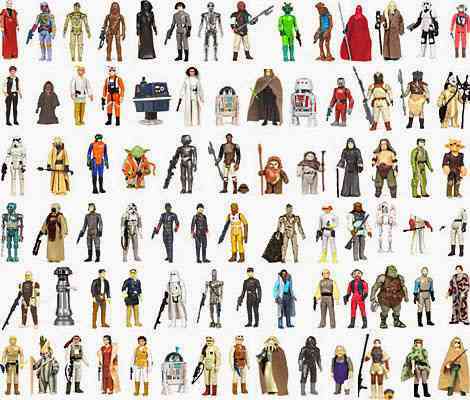 By the time Star Wars was released in the U.K., the Palitoy Company was already the number one powerhouse in the boys toys retail marketplace. Whilst the divisions within The Palitoy Company were granted the opportunity to distribute the Kenner products (Palitoy, Denys Fisher & Chad Valley), it wasn’t as easy as simply repackaging the toys. Many changes and compromises were required in the U.K. market, which led to unique variations and, in some cases, completely new product. This presentation takes a look back at those challenges, the highs and lows, the successes and failures that all contribute to one of the most coveted areas of international Star Wars vintage collecting. Presented by Dave Tree. Explore the wonderful world of collecting original props used in the making of the Star Wars movies. Hear hints and tips on all aspects of collecting the greatest collectible of all, an actual piece of the movies we hold so dear. Also, take a look at some amazing pieces in private collections around the world and hear some of the stories behind the acquisition of these iconic pieces of celluloid history. Presented by Brandon Alinger, Andy Goulding, Stephen Lane, Dave Abberley and Gus Lopez. Join Mandalorian Mercs Costume Club Founder, Tom Hutchens and PR Officer Richard Whittaker as the Mercs build one lucky member their own set of Mandalorian plates. Watch how the experts do it and feel free to ask questions. If that is not enough, you have the chance to be one of two lucky recipients of a Mandalorian helmet for you to take home and paint. Presented by the R2 Builders Club. An introduction to droid building on a budget showing what can be achieved by making parts yourself. The talk will concentrate on the very popular styrene builds, but will also cover wooden builds along with the various tools required. Several example droids will be present to show what can be achieved on a budget build followed by a Q&A session. The Second World War not only changed the world in which we live; it shaped and defined the Star Wars universe we love. From World War to Star Wars explores the interesting and unexpected ways that “a long time ago” influenced the “galaxy far, far away.” Join historian Cole Horton (Author, Star Wars Absolutely Everything You Need to Know) as he gives fans a rare look into the in-universe parallels and real-world connections between the Second World War and the Star Wars Universe. This one-hour presentation and Q&A will feature insight into historic filming locations around Europe, the exploits of British WWII veterans-turned-actors, and why World War II relics became iconic parts of the Star Wars universe. Nordic collectors have purchased the highest number of action figures per capita in the world, statistics tell us. Henrik Wulff Rasmussen (Denmark) and Mattias Rendahl (Sweden) will guide you through all kinds of Nordic (Sweden, Denmark, Norway, Finland, Iceland) collectibles. From treasures from the actual Hoth shooting locations to the Millennium Falcon hidden in the Nordic Sea, the focus will be on the vintage era including Playmix, the Nordic counterpart to Palitoy, which sold action figures like no other manufacturer. Beware the Vikings! Presented by Mattias Rendahl and Henrik Wulff Rasmussen. The term “rare” can mean many things in the collecting realm. It’s used to describe mass-produced toys that are just hitting retailers, chase-variant bobbles in trading card sets, and pre-production prototypes that can number in the dozens. While “rare” can mean whatever a seller wishes it to mean, there’s a different term which is unmistakable: One-of-a-kind. Join us as we showcase a selection of collectibles so rare that each is the only example known to exist! Presented by Bill Cable, Andrew Davies and Dave Tree. You’ve seen the photos! You’ve read the tales! Now Star Wars Pickers brings you the stories, tips and tricks straight from the collectors behind some of the biggest finds in the history of the hobby! Collectors Chris Fawcett and Shane Turgeon will share pictures of some of their greatest finds and collecting adventures. In this panel, these expert collectors will pass their secrets on to you, giving you the tools to maybe one day make your own epic find of vintage Star Wars collectibles! Presented by Chris Fawcett and Shane Turgeon. This panel will focus on how younger fans can get into collecting: displaying and expanding their collections, and keeping them well protected. With the release of The Force Awakens and Star Wars: Rebels, many new fans of all ages are joining not only the fandom, but also the collecting scene. Learn about how a 25-year-old man began collecting at the age of five and still has a passion for what he started. Presented by Eric Pfeifer. One panel, two podcasts: Prepare to make your first jump to hyperspace with Full Of Sith, the show dedicated to the most interesting Star Wars conversations in the galaxy, then pour a cup of your beverage of choice and take a trip to the galaxy far, far away with Lattes With Leia. Listen and learn as the world’s two premier Star Wars costuming organisations give the lowdown on the ins and outs required to pull together movie accurate costumes that dazzle and impress kids and adults alike across the galaxy. Who they are, what they do, and how to join. Ever wanted to be a part of the Rebel Legion? Join some of the Legion’s commanding officers who will give you the inside track on becoming a member of this heroic costuming organisation. There’s never been a better time to be a rebel in the Star Wars costuming galaxy! One panel, two podcasts: Strap yourselves in for the emerald hour! All the way from Dublin, Ireland it’s Blabba The Hutt and joining them are Following The Nerd, the podcast that’s bang up to date on all the latest news, reviews, articles and information across all mediums from games to action figures. 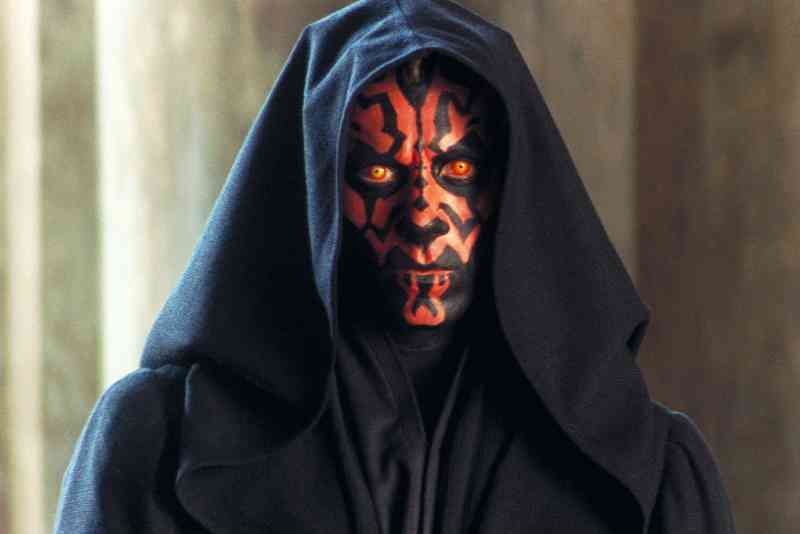 The fearsome Sith lord Darth Maul wasn’t born looking like the baddest man in the galaxy and neither were you. Learn just how the costumers and artists at the UK Garrison transform mere mortals into deadly Sith warriors. One panel, two podcasts: We’re coming in at full throttle with Fly Casual, the podcast that’s more than a journey, it’s all about our Star Wars lives and YouTube star SithLord229, providing in-depth, HD analysis of some of the coolest Star Wars toys and collectables from across the Galaxy! Over the weekend watch our skilled UK Garrison armourers build an entire Shadow Trooper costume for James Burns from Jedi News. The armourers will also be able to answer any costume building questions you may have. One panel, two podcasts: There’s no such thing as coming in too fast when you have two of the world’s premier collecting podcasts joining forces. We have Star Wars Action News bringing all the latest news and reviews from the Star Wars galaxy and listen up, it’s London Calling! Star Wars Collectors Cast is here covering UK and worldwide collecting. One panel, two podcasts: Echo Station 3-T-8, we have spotted Imperial walkers and they’re bringing two amazing podcasts with them. The Star Wars Report bring us in-depth news coverage from the galaxy far, far away and joining them are Fangirls Going Rogue, the first Star Wars podcast hosted exclusively by fangirls. Jumping out of Lightspeed too close to the system is Australian comedian Steele Saunders, bringing his unique flavour to Celebration Europe. Steele loves Star Wars and finds people of interest to talk to him about it. We are honoured by his presence. One panel, two podcasts: It’s the golden hour! The Star Wars Collectors Archive Podcast bring us their knowledge of vintage Star Wars toys and memorabilia and Vintage Rebellion discuss Star Wars toys from yesteryear. WAMPA!! WAMPA!! One panel, two podcasts: We reach the end of our Celebration Europe podcast panel journey for 2016 as RADIO 1138 see out the show with Star Wars news from across the galaxy and Take Cover grab their bookmarks to discuss book, comic and magazine news. It’s the end of the show and so members of the UK Garrison, the Rebel Legion, the Galactic Academy and Jedi News wrap up the show with a final hurrah. What was your highlight of the third Celebration Europe? Excited for Rogue One? And will you be joining us next April for Celebration Orlando.